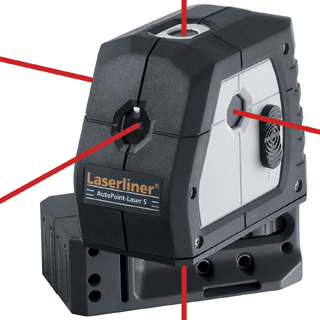 The 5-spot laser allows aligning work to be done in all directions. Uncomplicated handling: Turning the housing enables horizontal levelling, while with the two perpendicular lasers markings can be easily transferred from the floor to the ceiling. With the magnetic base, the device can be used everywhere – on building and photo tripods, on inside walls, steel structures, etc.